The game funded almost immediately, and sits just under $60,000 as I type this. They’ve decided to make everything easy here: If it funds (and it did), every stretch goal is immediately unlocked. Why are they still calling them stretch goals, then? I HAVE NO IDEA! 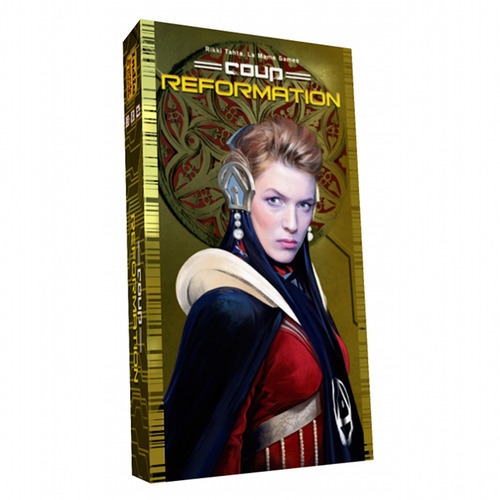 Box–The Kickstarter version will have a new and larger box to hold everything from the base Kickstarter Coup game and this new one. The retail version of the game will only be a back of cards in a blister pack. Gold Coins–You don’t need more coins to play the game–even with this expansion–but they’re throwing in gold foil coins to go with the silver ones from the original. New Cards with New Art–This will come with two new sets of each character. But “[t]hese alternative art cards aren’t just pretty to look at, they serve a functional purpose as they make slight modification to how the game is played with the potential to introduce more logic into the game.When combined with Coup Kickstarter edition (or via the Reformation & Coup KS pledge levels) you will have enough alternative art cards to play up to 10 with unique art on every card. But, wait. What about the actual expansion? Well Reformation has been out for a while in one of the earlier printings. Each player is assigned a Faction–either the Loyalists or the Reformists–and you can’t target another player of the same faction, except to challenge that the person doesn’t have the role they’re claiming. But you can pay to change Factions! Afraid you’ll be targeted by that Loyalist with a ton of coin? Just “see the light,” pay a coin, and join the Loyalists! Or even more interestingly…you can pay to switch someone else’s Faction! It sounds like Reformation adds all kinds of layers and new things to think about. I can’t wait to get my grubby hands on this! $15 gets you a copy of the expansion. And there’s a $30 option that will get you both Coup and the expansion. 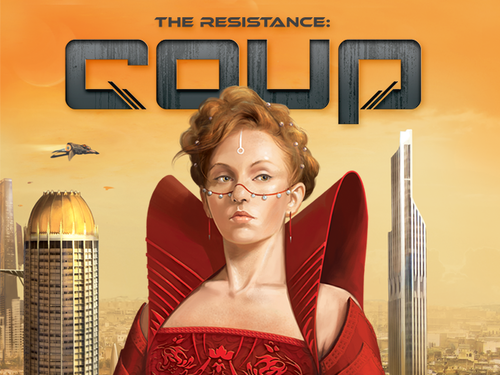 Coup is a terrific game, and you should definitely check out the Kickstarter campaign.